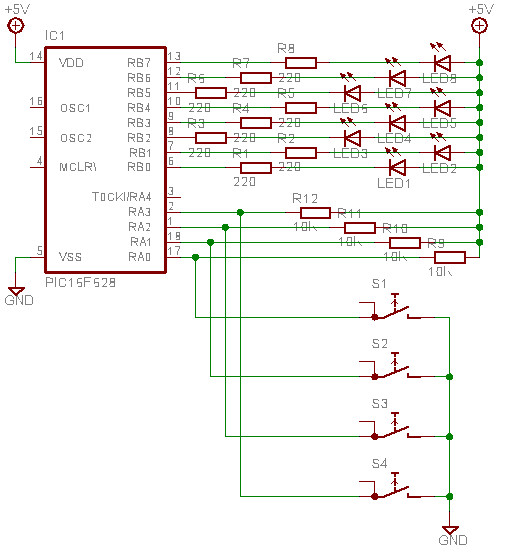 This sample project uses a PIC16F628 and 8 LED’s to count in binary. Four switches are used to change the direction and speed of the counter. The program was created using JAL.